The Hospitality (Ushers and Greeters) Ministry serves the worshipping assembly by providing a welcoming, hospitable atmosphere and assuring the orderly progress of the liturgy. 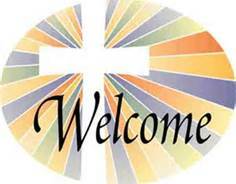 Welcome our parishioners & visitors to our church. Help seat people when the church becomes full. Help in the collection of donations, which is the life-blood to support the running of the church. Communion Watch, which is unique to our church. This is the act of standing next to the Extraordinary Ministers to insure that everyone who receives the precious Body of the Lord consumes the Host before returning to their pew (Extraordinary Ministers Of Communion take the Body of the Lord to the sick & shut-ins). The church does not want individuals to take the Body of the Lord back to the pews or back home should they, either on purpose or by accident, desecrate the Body of the Lord. If necessary, help people who become distressed during Mass. Complete the mass by passing out the church bulletins at the end of the weekend masses. After Mass check the pews to make sure they are neat, clean & in order for the next mass. Our Greeters do just that - Welcome the congregation with a smile as they come into Mass and answer any questions they may have. If you are interested in being an usher or greeter at the mass you regularly attend, please talk with the head usher at that Mass.